Comments: ***PLEASE NOTE*** This book is in Acceptable Condition. Has wear & tear, writing & highlighting. Regardless of title, CD/DVD/Access Codes or Supplemental Materials are not guaranteed. This is a U.S. Student Edition Book. This book is not a rental. 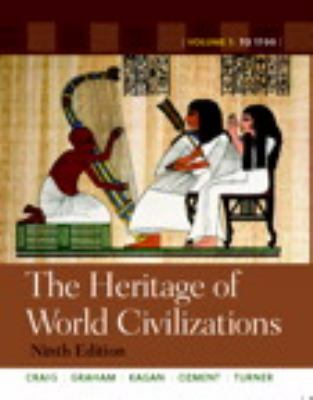 Donald M. Kagan is the author of 'The Heritage of World Civilizations: Volume 1 (9th Edition)', published 2011 under ISBN 9780205803484 and ISBN 0205803482. Loading marketplace prices 37 copies from $11.50 How does the rental process work?